RehaBot is a proposed integrated reconfigurable haptic feedback rehabilitation robot. 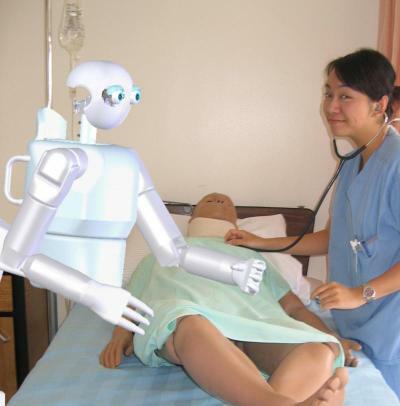 RehaBot would provide progressive rehabilitation training procedures for military healthcare enhancement. The contractor for RehaBot is Hstar Technologies, based in Lowell, MA. The company describes itself as consisting of "engineers, roboticists and managers who were trained, worked and performed successful research and projects at the Massachusetts Institute of Technology." It's not clear whether or not RehaBot is intended to operate autonomously; it is clear from the US Army solicitation that it should provide telepresence rehabilitation training. 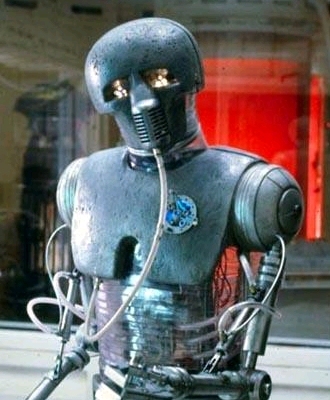 I was just thinking about the 2-1B medical droid from the original Star Wars series. This autonomous medical droid could do surgery as well as rehab. The role of the proposed RehaBot also reminds me of the "automatic massager," a fictional robot from A.E. van Vogt's 1944 story Far Centaurus. After being asleep for decades while traveling between the stars, what sort of machines will help restore vigor to the body? From An Integrated Physical Therapy/ Rehabilitation Robotic System for Military Healthcare Enhancement via Wired; see also the Hstar Technologies website. Thanks also to Moira for the notice on this story.